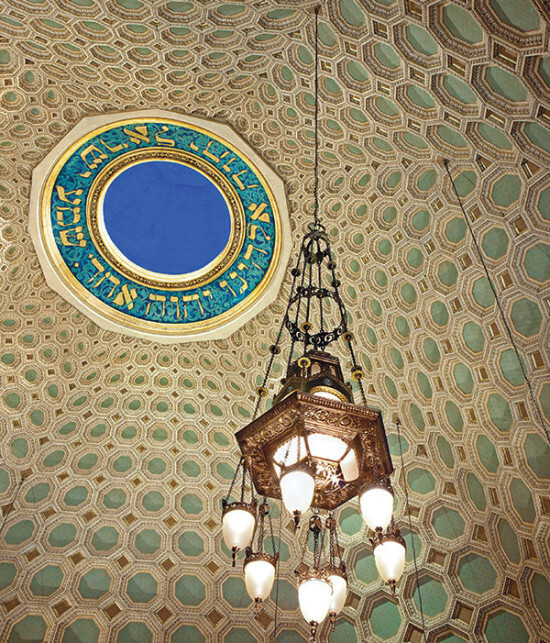 Word of an OMA-designed building for the Wilshire Boulevard Temple has been in the grapevine for months. The firm was on the short list this past spring along with Kengo Kuma & Associates, Morphosis Architects, and Steven Holl Architects for the 55,000-square-foot event space across the street from the institution’s recently restored 1929 Byzantine-Revival sanctuary. 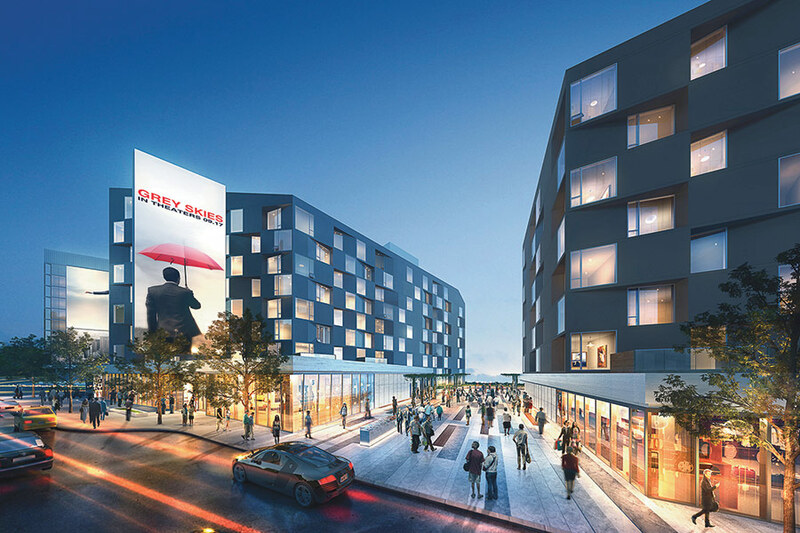 Now, a new building is moving forward with a name, an architect, and a fundraising campaign. Koolhaas is officially the architect for the Audrey Irmas Pavilion, even if renderings are still under wraps. Shohei Shigematsu and Jason Long will lead the project out of OMA’s New York office. Irmas, a philanthropist, art collector, and temple congregant pledged $30 million to lead the fundraising campaign for the new building. She is raising those funds by putting a Cy Twombly in her personal collection up for sale. The entire proceeds of the sale of the painting will benefit The Audrey Irmas Foundation for Social Justice, with a portion earmarked for the OMA pavilion. The new building, proposed to open in 2019, will accommodate all sorts of community events: weddings, bar mitzvahs, and galas. The project would be the firm’s first cultural building in California and first commission from a religious institution. 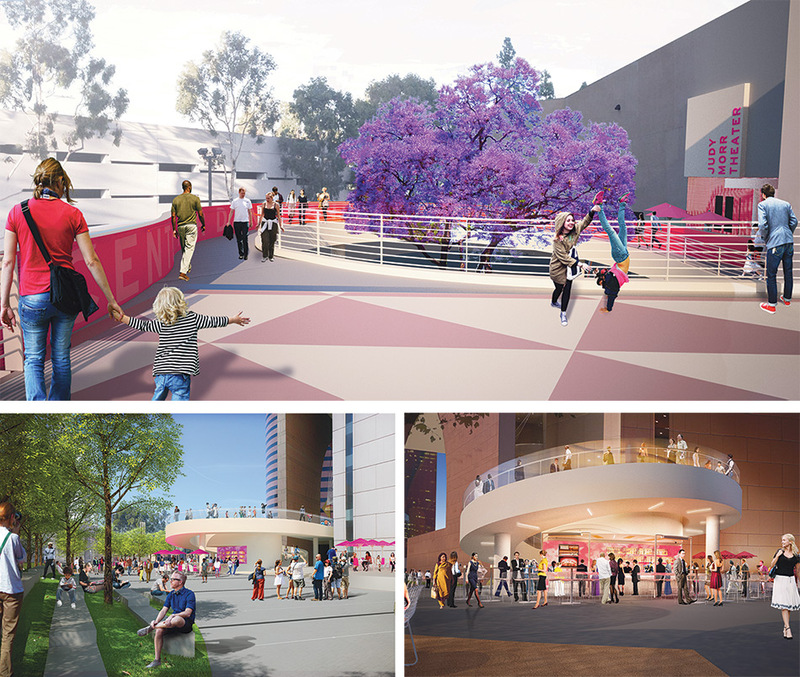 OMA’s commercial project, The Plaza at Santa Monica, seems to be sluggishly moving through that city’s political channels. 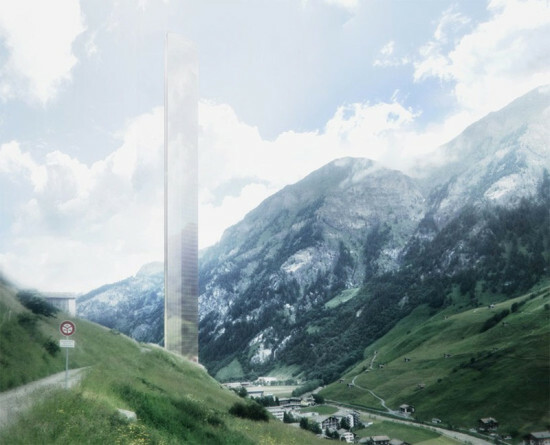 It passed the City Council in June, but still faces community opposition due to its height. The way I read, every book is a self-help book. I am a mercenary, hunting ruthlessly for the stuff I can use. I recently found An Eames Anthology, a collection of Charles and Ray Eames’ texts—articles, film scripts, interviews, letters, notes, and speeches—edited by Daniel Ostroff. The first thing I did with was turn to the index to look for writings credited to Ray alone. I wanted to read those first. There are about ten in a book with more than 120 entries. It’s not a contest, of course, but Ray-ray (her childhood nickname—and mine) remains a bit of a mystery. She and Charles were business and domestic partners and this relationship is complicated beyond measure. But while their friend, director Billy Wilder, may have said “They are one,” my gut says not exactly. I persist in the search for more information about her as an individual, and a more nuanced understanding of their collaboration. Charles described their working process in an AIA seminar transcript found in the anthology. In 1952 he writes, “Things began to get shuffled, and pretty soon you didn’t know where one started and the other ended, and anything that we’ve looked at or talked about here, I say that I’m doing it, but actually, she’s doing it just as much as I am, only she sort of goes under the same corporate type name.” Charles exhibits both self and brand awareness in identifying his own as the “corporate type name.” Preternaturally savvy about images of themselves, perhaps they both knew that his name was their shared clown makeup. But even after claiming his name was an umbrella, in speech after speech, and in nearly every interview, Charles shares credit with Ray unbidden, beginning in the early 1940s. The anthology is arranged strictly chronologically and as one pushes through the years, there are scattered clues about their creative partnership; it’s like following breadcrumbs. Charles and Ray exemplified and defied the gender norms of their time. The first drafts of two letters—a 1949 letter to Richard Neutra and a 1954 letter to Henry Ford, II—are presented in facsimile in Ray’s handwriting, with the final, delivered versions signed by Charles alone. Who knows if she initiated these or if he dictated to her? We have to be very careful not to make assumptions about husband-and-wife relations: him hogging the mic and her long-suffering. Charles was already aware of how they might be perceived, as he reveals in a PBS television interview from 1969: “The result of being asked questions... is a kind of metamorphosis which turns me from a sort of simple, unassuming guy into a monster full of great bits of wisdom, Mr. Know-it-all of the century,” said Charles. “With Ray it’s no less violent, but it’s simpler. It’s pure paralysis.” With so few of Ray’s words available, we must turn to biographical details for clues. An Eames Anthology is dedicated to Lucia (1930-2014), who was born in St. Louis to Charles Eames and his first wife, Catherine Woermann. Fellow LA-based practitioner Linda Taalman and I were once talking about being women architects with children and I remember reminding her that Ray was Lucia’s step, not biological mom. This detail seemed crucial to me; I had a collection of Case Study Mothers. The material in An Eames Anthology ranges from their most ambitious intellectual efforts to such prosaic details as these, and every page is compelling. 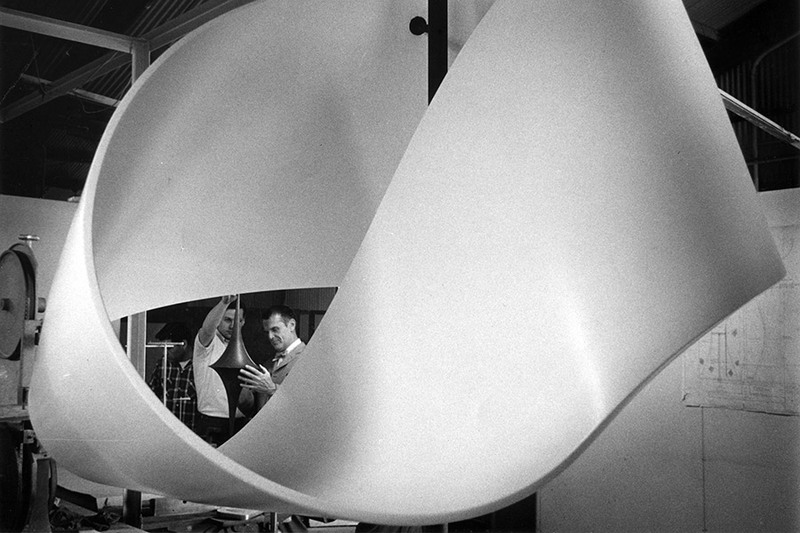 The collection was supported by the Eames Foundation, established by Lucia in 2004, which in the intervening years has come to function in Los Angeles as an ever-present force of modernist art historical legitimization, imaginatively underpinning the Los Angeles design community’s ongoing efforts. 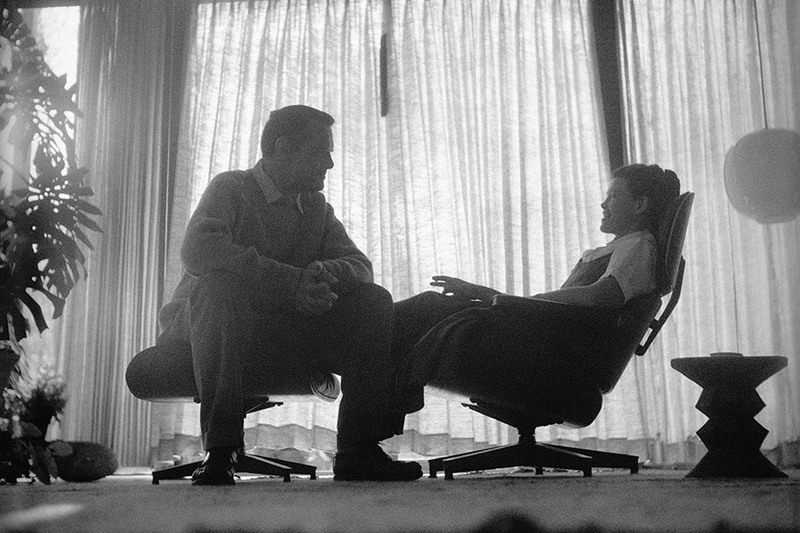 “A Visit with Charles Eames,” Think 27. No 4 (April 1961). Lucia was eleven when Charles and Ray left Saint Louis for Los Angeles, and she was a sophomore at Vassar by the time the Eames House was completed. Also known as Case Study House 8, the residence was never intended to accommodate daily life with a baby or young child. Charles stressed that point in Arts and Architecture 66, no. 12 from December 1949, noting “the actual plan within the system is personal, and whether or not it solves the particular requirements of many families is not important as a case study.” A March 1948 description from the same magazine is even more specific: “Two people with close working interests.” Later, Lucia expanded on the point in 2005 shortly after the establishment of the Eames Foundation, “It was designed for a professional couple with a kid at school,” she clarified in an interview with Metropolis magazine. With the work of child-rearing deferred, delegated, declined, or displaced, the couple was free to work a 7-day week together— until after 10 p.m. most days. At the office they were known for having employed local people, war veterans, and housewives. Charles and Ray seemed to have a thing about housewives. The last line of the first entry in the anthology, Charles’ 1941 essay “Design Today,” reads, “Certainly the future cannot be considered hopeless as long as designers continue to honor the accomplishment of producing a very inexpensive article that can serve well and bring pleasure to a million housewives.” And Ray’s list of “all creators” from “Line and Color” (1943), concludes with the unpunctuated line: “the man on the job the woman in the home and painters.” Maybe they were fascinated by housewives because, between the two of them, neither of them had it in them to take on the job. In 1973, Charles revealed as much in an interview. “My wife and I work together all the time and so we have a housekeeper, Maria,” he said. 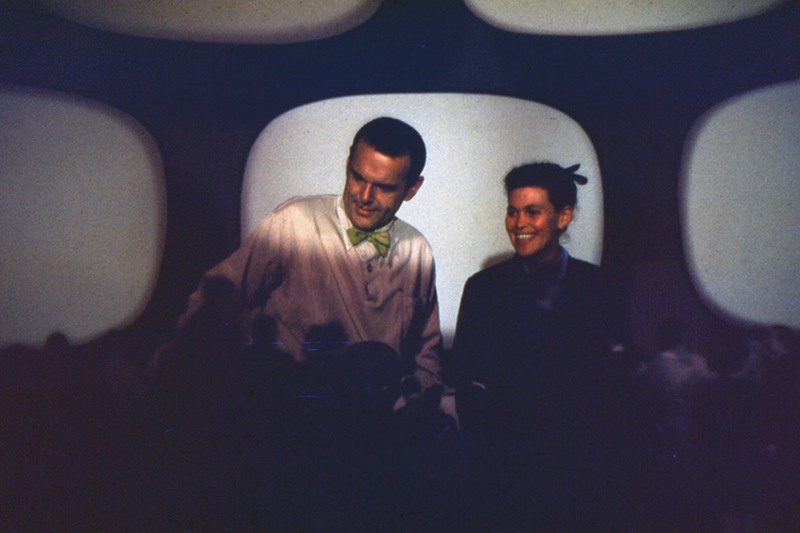 “And she darns my socks, turns my collars, turns my shirtsleeves.” An Eames Anthology is a snapshot of the couple that simultaneously exemplifies and defies the gender normativity of the Mad Men era. Readers must resist attempts to reduce these creative ancestors into stereotypes, villains, or heroines. If we extend the valiant naïveté of the Eames into the future we may feel like their imaginary children with unresolved Oedipal issues—as if we have to kill them. Visiting Los Angeles art galleries in the late 1990s, it was easy to lose count of the exhibitions of sliced-and-diced Eames chairs reconfigured into sculptural installations, but perhaps in retrospect they make sense. One of Ray’s other nicknames was Buddha and you’ve probably heard: When you meet the Buddha in the road, kill her. Carnegie Mellon’s enviable task is to become a testing ground for the cheap, ubiquitous sensors, integrated apps, and user-developed tools which Google sees as the key to an integrated machine future. If that sounds like mystical marketing copy, a recent project by CMU’s Human-Computer Interaction Institute sheds light on what a sensor-saturated “smart” city is capable of. The team headed by Anind K. Dey has created apps like Snap2It, which lets users connect to printers and other shared resources by taking photos of the device. Another application, Impromptu, offers relevant, temporary shared apps. For instance, if a sensor detects that you are waiting at a bus stop, you’ll likely be referred to a scheduling app. “The goal of our project will be nothing less than to radically enhance human-to-human and human-to-computer interaction through a large-scale deployment of the Internet of Things (IoT) that ensures privacy, accommodates new features over time, and enables people to readily design applications for their own use,” said Dey, lead investigator of the expedition and director of HCII. 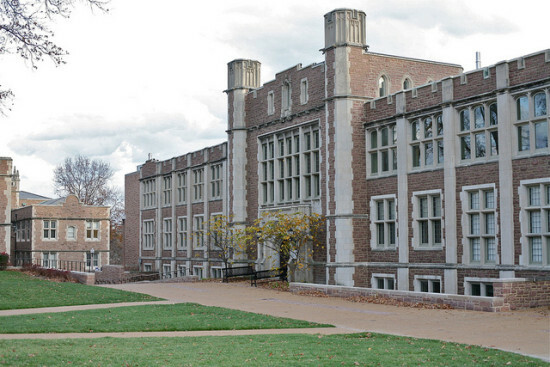 To create the living lab, the expedition will saturate the CMU campus with sensors and infrastructure, and recruit students and other campus members to create and use novel IoT apps. Dey plans on building tools that allow users to easily create their own IoT scripts. “An early milestone will include the development of our IoT app store, where any campus member and the larger research community will be able to develop and share an IoT script, action, multiple-sensor feed, or application easily and widely,” Dey said. “Because many novel IoT applications require a critical mass of sensors, CMU will use inexpensive sensors to add IoT capability to ‘dumb’ appliances and environments across the campus.” Researchers at CMU will work with Cornell, Stanford, and the University of Illinois at Urbana-Champaign to develop the project, code-named GIoTTo. The premise is that embedded sensors in buildings and everyday objects can be interwoven to create “smart” environments controlled and experienced through interoperable technologies. SOM and LOHA's Sunset-La Cienega. It’s been more than four years since popular West Hollywood Urban Designer John Chase passed away. His successor, Stephanie Reich, has been actively promoting an agenda stressing design and practicality, working with her staff and city leaders to cope with the demands of a rapidly densifying city. She’s also known as a tough cookie, sending anything less than the best back to the drawing board. 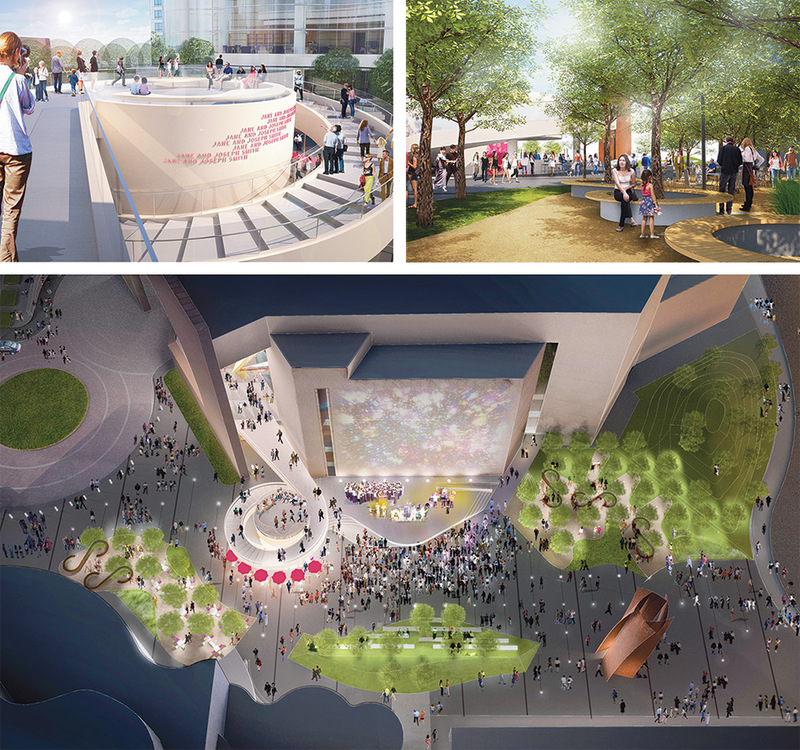 AN West editor Sam Lubell sat down with Reich to discuss her agenda, the city’s tradition of collaborative design, and what’s coming next. Sam Lubell: Tell us about how your role in West Hollywood, and about taking the torch from John. Stephanie Reich: I am very proud and very honored to have my dear friend John Chase’s job. We were very close friends, and we had a really strong connection. The city waited two years before advertising his position. We were all pretty traumatized by his sudden death. I’ve been here for over two years. Our styles are very different, and this is a very different time in West Hollywood. We actually seem to be in the middle of quite a boom. As the city gets denser there’s even more demand for excellence in design. I feel very fortunate to have talent like Craig Hodgetts, Lorcan O’Herlihy, Patrick Tighe, Rios Clementi Hale, Johnson Favaro, and Christian Robert all designing projects here. Because John created a great tradition and expectation of design, I think that may be why developers understand that they need to play their best game here. We also have a great deal of support of design from the city council. That public support is essential to the partnerships we make with architects. The structure sets the expectation for good design. R&A’s Beverly & Clark Hotel. What makes West Hollywood different? We’re called the creative city, and that’s reflected everywhere. The process for design review is actually quite different. It seems more fully integrated into the process because the planning commissioners review design as part of their design review subcommittee. There’s not a separate architectural review board. The decision makers for the overall entitlements are actually reviewing the design and influencing the design. We try to give city commissioners coaching and feedback. I do memos for the commissioners with full design analysis of projects. 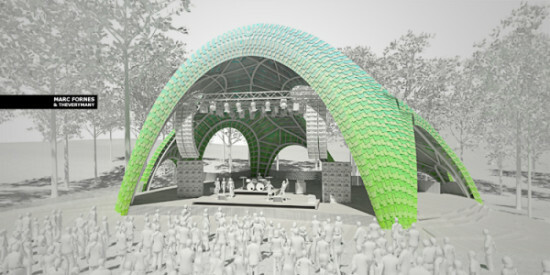 But design review is based not on my opinion of a project, but on sound architectural principles. We try to find out what the applicant teams are striving for and help them strengthen whatever they’re trying to do. Sometimes there’s not a clear architectural idea. We help guide them to a clearer architectural idea that can be informed with other materials, concepts, and so forth. How do you attract architectural talent? Developers come to us. I’m an architect, my husband is an architect, and all my friends are architects. I can’t recommend this or that architect. If someone asks for a “recommendation, I send them to the AIA/LA. 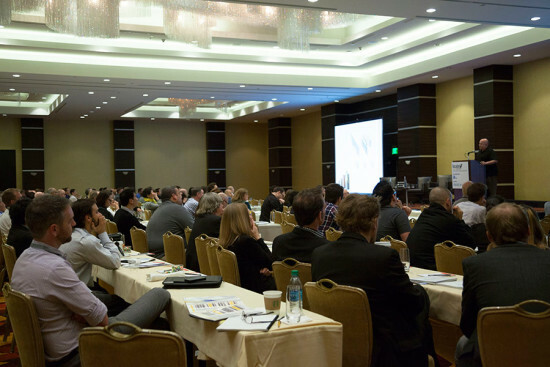 I have a good relationship with the AIA/LA, having chaired their urban design committee from 2001 to 2010. They will develop a list of award-winning architects for any of our clients who go to them. I’ve asked them to do that and they will do a special list based on the project and client. I think they should do that for everyone. Yes, I’m a registered architect. 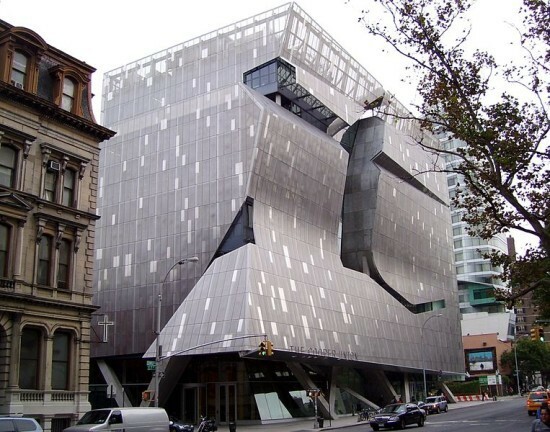 I worked for about 20 years as an architect with Morphosis, Coop Himmelb(l)au, Daniel Libeskind, and larger, more corporate firms like DMJM and NBBJ. I was the Urban Designer for Santa Monica from 2003-2005, Long Beach until 2007, then Glendale until 2012, and I’ve been here since. I studied architecture at Cornell then got my masters at SCI-Arc. How do you support development teams? The system is designed to support really good, really progressive work in a lot of ways. We’re a very progressive city, and design, affordable housing, etc. are embedded in our general plan and codes. It’s also in the ethos of the city. I have a great title, but I’m just a small part of a system that fosters this kind of innovation. West Hollywood is known for having an outspoken community. Is that challenging? Members of the community are not always so comfortable with change. In a community as dense as ours we have serious issues, for instance, with traffic congestion. As we continue to grow I think we have to make sure that the environment and quality of life also continues to grow. Design is a part of that and I think the community recognizes that. We have a very smart, sophisticated, involved community. Also being a small city we have the ability to be very responsive to them. What are some of your other challenges? As we continue to get denser, the balance to continue to provide affordable housing is something that is an ongoing challenge for all cities. 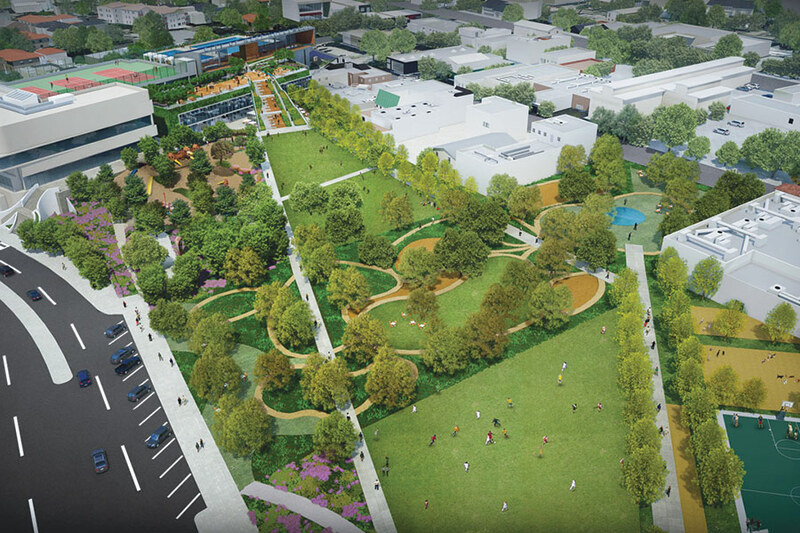 There’s also a challenge for open space in a city that is so dense, and we’re taking that on at WeHo park. 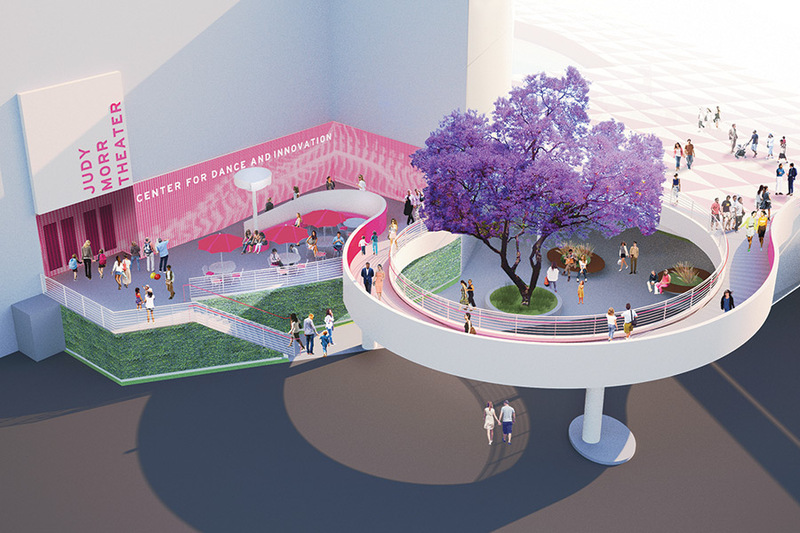 We take our streetscapes very seriously, and you can see that on Santa Monica Boulevard, and in our new streetscape master plan for the design district on Beverly and Melrose and Robertson. I think we’re, in a very progressive way, trying to meet the demand of a very dense city. LPA and Rios Clementi Hale’s WeHo Park. Tell me more about the city’s solutions for affordable housing? We’re very focused on making sure affordable units included are equal and spread throughout each project, not siloed within a project or substandard. We also have a very active community housing corps, the West Hollywood Community Housing Corporation. For instance we’ve just completed a beautiful new affordable project by Patrick Tighe and John Mutlow. Do you have design guidelines for the city? We’ve developed new zoning code standards in the West Hollywood West Overlay District, with thorough design guidelines. They’re focused on that neighborhood (I don’t know if we’ll continue to develop those for other neighborhoods), but they deal with quintessential issues. As we make projects larger than the neighborhoods around them, how do we make sure they fit in? Even if they’re the largest thing on the block. The design piece is not about style. It’s about scale and proportion, and managing those fundamentals of architecture to make sure it’s responding properly to its neighborhood. Having that as a tool, especially for that neighborhood, will enable folks to understand the demands so there’s a greater level of predictability. It doesn’t tell you what the answer is. Sketches can be misinterpreted, as this is what we want you to design. We have pictures. It’s very important to give broad guidance to an architect development team to allow them to bring their best designs to the city. If it looks like I designed it, the whole city would become very boring. We’re in an exciting place to be because you see there’s an exciting and diverse population here and that’s what the architecture reflects. Are you more rigorous in your expectations than other cities? I hope people feel that way. I think that you can see by the results. We have some excellent projects moving through the process. I think that’s a credit to the development teams that come here, and to the city process and to our commission and elected officials that all support high quality development.